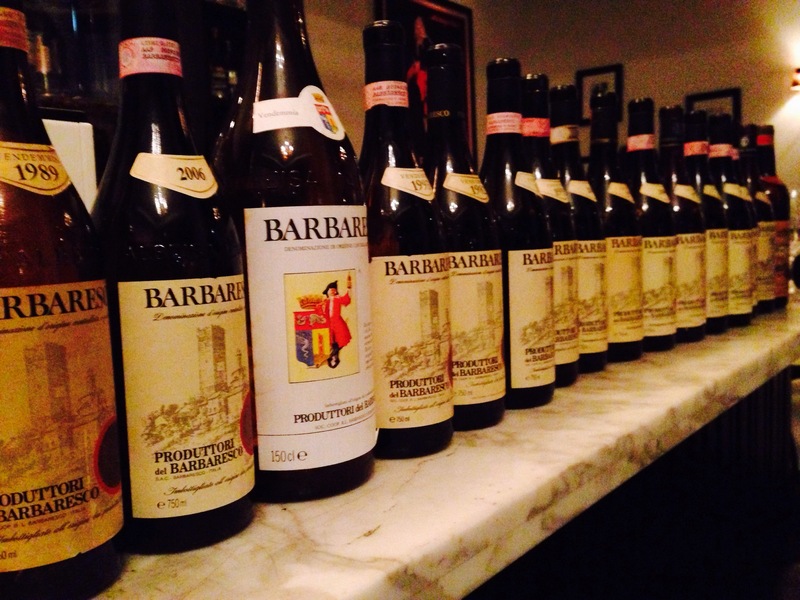 Four decades of Produttori del Barbaresco Barbaresco @sostacucina: my take on the wines…. The line up of Barbaresco from Produttori del Barbaresco. The Produttori del Barbaresco has a long and distinguished history and great wines have always been made here. Prior to 1894, Nebbiolo grapes were sold to make Barolo wine or simply labelled ‘Nebbiolo di Barbaresco’. But in 1894, Domizio Cavazza, headmaster of the Royal Enological School of Alba and a Barbaresco resident, created the first cooperative, the ‘Cantine Sociali’, by gathering nine Barbaresco vineyard owners to make wine in the local castle that he owned. Cavazza understood that Nebbiolo from Barbaresco differed from Barolo and, for the first time, recognized it on the wine label. The ‘Cantine Sociali’ was forced to close in the 1920’s because of fascist economic rules. In 1958, the priest of the village of Barbaresco, recognizing that the only way the small properties could survive was by joining their efforts, gathered together nineteen small growers and founded the Produttori del Barbaresco. The first three vintages were made in the church basement, and then in the winery built across the square from where the Produttori is still located. United once again, the small growers continued the work started by Domizio Cavazza, producing only Barbaresco wine and enhancing both the reputation of the wine and the village. The Produttori del Barbaresco now has 56 members and 100 hectares (250 acres) of Nebbiolo vineyards in the Barbaresco appellation, which amounts to almost a sixth of the vineyards of the area. 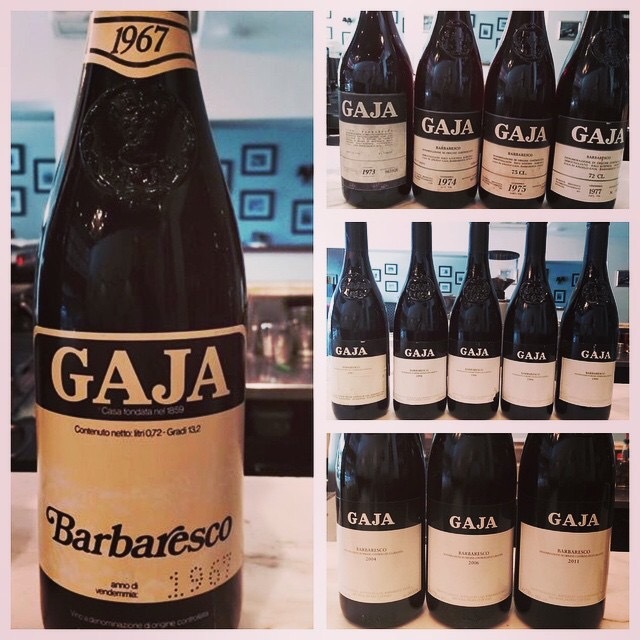 Last week, myself and twelve other Italian wine lovers got together at Sosta Cucina for a memorable meal looking at four decades of Produttori del Barbaresco Barbaresco (we were looking at just the standard, not the cru’s) going back to 1968. 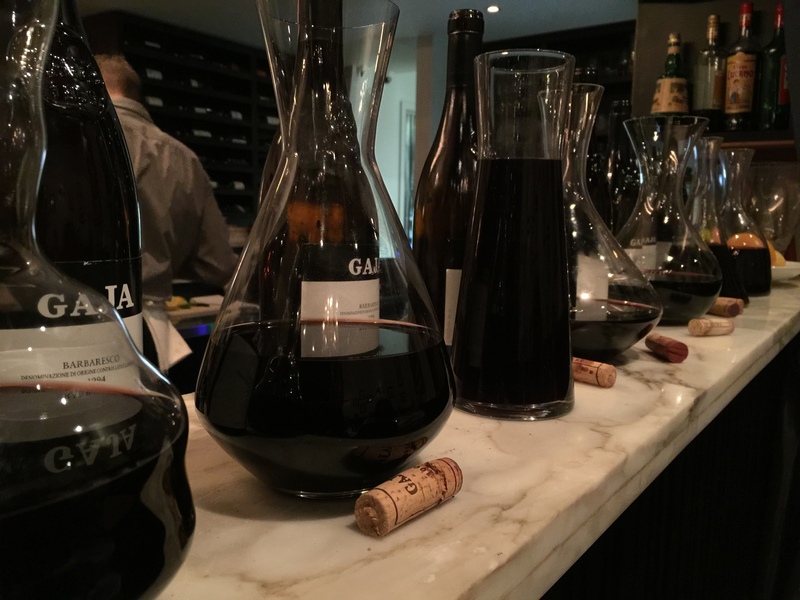 The wines showed unbelievably well, better than one could ever expert and matched with some fine Italian food from Maurice at Sosta Cucina, it was definitely a night to remember. If I took only one thing out of this dinner (and this is the reason why I do them), it is the Produttori del Barbaresco Barbaresco needs decades not years to enter their optimum drinking windows. Apart from a couple of vintages, the wines showed to be able to handle ten to twenty years in canter. Even though I represent some of the best Italian wineries in Australia (note I do not represent PdB), great bottles of PdB always puts a big smile on my face and the aim of this dinner was to show that people that ignore the standard bottles are missing a big part of what makes Barbaresco so great. Sometimes the sum of all parts are better then individual components. People should be not just be buying the cru’s but also buying the standard PdB and this is a wine that I would buy in bulk every year. Whilst 6 bottles is enough of one wine for my cellar. It is the standard PdB that is one of the few wines that I buy in 12 bottle lots. Below are my brief notes on the wine. With old bottles, it really comes down to the condition of the cork which has the biggest influence. For example, I have had the ’79 twice in the last two months. This bottle did not show well but the previous bottle was sublime. However, a good cork and a good bottle makes a match made in heaven. 1968: still fragrant and tannic. Still looks and tastes quite youthful. 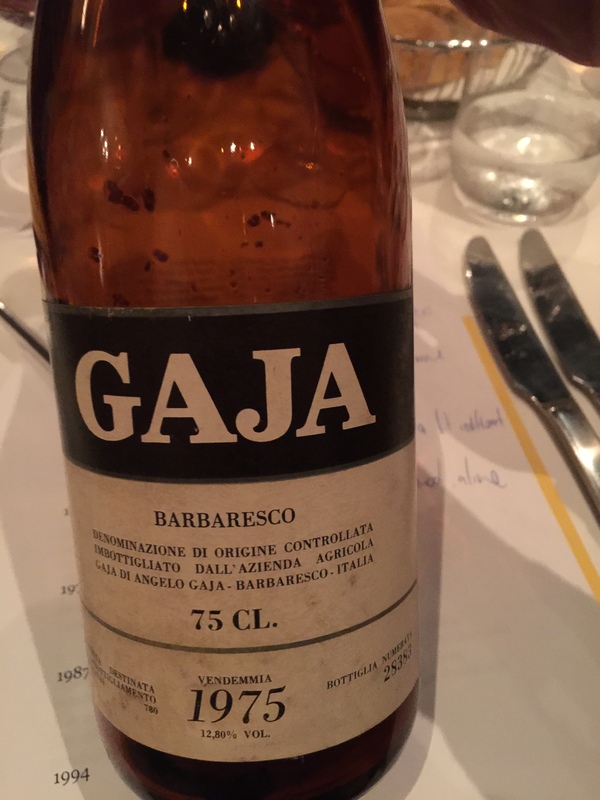 1971: very minerally and intense. Some thought there was brett in this wine. I didn’t think so. Looks very good. 1979: not a good bottle, lot’s of iodine and slightly oxidised. 1982: fantastic, youthful, still quite primary. Unforced and pure. 1985: – MAGNUM: wow!!! wow!!! Length and tannins. Pristine fruit. So long and fresh. Almost the perfect bottle of aged Barbaresco. 1986: really good, not as good as 82 and 85 but still very impressive. In it’s prime at the moment. 1989: high VA. Disolved tannins and fruit. 1991: not as advanced in development as 89 but will head long the same lines. 1992: amazing, one of the best PdB Barbaresco I have ever had. Pure perfection and like the 85 this is as good as it get’s for aged Barbaresco. 1993: not a great bottle. Showing it’s age. 1994: quite shy and unvolved. Needs time but is going to be a ripper. 1998: powerful and primary. Still youthful. Just shows PdB needs not years but decades to be at their prime. 2004: Another great bottle. Again still primary but classic Nebbiolo with lot’s of roses and tar and fantastic tannins and acidity. 2006: Bloody good. Decades in front of it. Like the 2004 this is a wine that will live for another 20-30 years. Not no cur’s were made in 2006 and all the single cru’s were blended back into the standard. 2008: A very good Barbaresco year and a very good wine. A long life in front of it. 2010: buy, buy, buy!!! I would be loading up on 2010. Like 2006, all the single cru’s were blended back in. This is already good, but will head towards greatness over the next three decades. 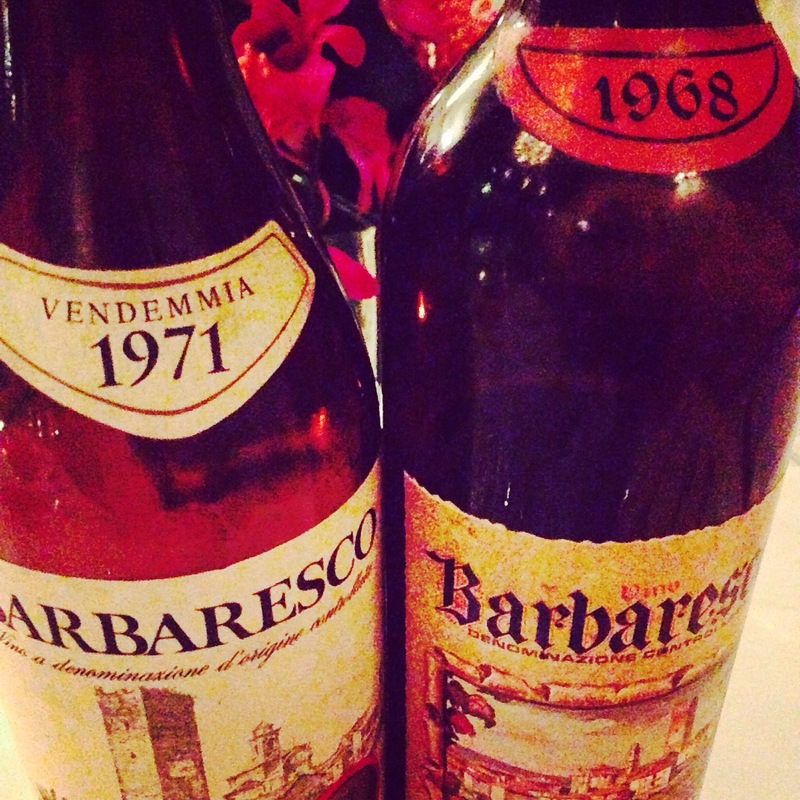 This week I will write up my notes an a great dinner I held my private wine group looking at 4 decades of PdB Barbaresco starting with the incredible 1968 and finishing with the current release 2010. It was one of the best dinners we have held and highlights what an amazing producer Produttori is. Notes to follow this week.